EVER WONDER WHY why your potato dishes turn out better some times than other times? Well, a few years ago I finally discovered that a potato is not a potato is not a potato (sure, just call me Mrs. Potato Head). The reason we have varieties is because they not only have variances in taste, but in texture. Which means that some potatoes are better for certain recipes than others. 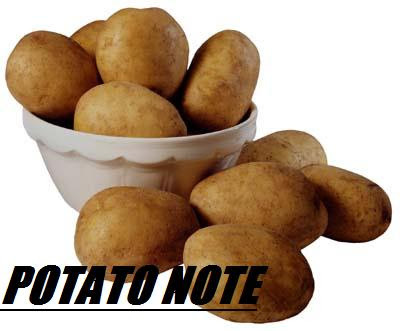 Here's a helpful list I originally found on a bag of potatoes I got from the Edmonton Potato Growers. (You might want to check out their website for a list of a few neat potato recipes). If I mention a dish or recipe on my blog It's A Beautiful Life, I usually post the actual recipe here. You are welcome to join me over there too! 2009 - 2012. Picture Window theme. Theme images by Nikada. Powered by Blogger.